The first set of limiting criteria were publication in the last 25 years; study design either randomized clinical trial, clinical trial, or meta-analysis; and English language publication. For complete search strategy and limit strategy, see eTable 1 in the Supplement. CAUTI indicates catheter-associated urinary tract infection; CDI, Clostridium difficile infections; CLABSI, central line–associated bloodstream infections; LOS, length of stay; SSI, surgical site infections; VAP, ventilator-associated pneumonia. Kohn LT, Corrigan JM, Donaldson MS. To Err Is Human: Building a Safer Health System. Washington, DC: National Academies Press; 1999. Centers for Disease Control and Prevention. Making health care safer: reducing bloodstream infections. http://www.cdc.gov/VitalSigns/pdf/2011-03-vitalsigns.pdf. Accessed September 1, 2012. National Quality Forum. Safe practices for better healthcare: 2010 update. http://www.qualityforum.org/Projects/Safe_Practices_2010.aspx. Accessed September 14, 2012. Department of Health and Human Services; Centers for Medicare & Medicaid Services. Medicaid program: payment adjustment for provider-preventable conditions including health care-acquired conditions. www.gpo.gov/fdsys/pkg/FR-2011-06-06/pdf/2011-13819.pdf‎. Accessed July 24, 2013. Ranji SR, Shetty K, Posley KA, et al. Prevention of Healthcare-Associated Infections: AHRQ Publication 04(07)-0051-6. Rockville, MD: Agency for Healthcare Research and Quality; 2007. Berger S. Fundamentals of Healthcare Financial Issues and Activities. San Francisco, CA: John Wiley and Sons, Inc; 2008. Producer Price Index. Industry Data, General medical and surgical hospitals (series PCU62211-62211-) http://www.bls.gov/ppi/home.htm. Accessed August 9, 2013. Agency for Healthcare Research and Quality. NIS overview. http://www.hcup-us.ahrq.gov/nisoverview.jsp. Accessed September 14, 2012. Scott DR; Center for Disease Control and Prevention. The direct medical costs of healthcare-associated infections in US hospitals and the benefits of prevention. http://www.cdc.gov/HAI/pdfs/hai/Scott_CostPaper.pdf. Accessed September 1, 2012. Centers for Medicare and Medicaid Services. Hospital-acquired conditions (HAC) in acute inpatient prospective payment system (IPPS) hospitals fact sheet, 2011. https://www.cms.gov/Medicare/Medicare-Fee-for-Service-Payment/HospitalAcqCond/downloads/HACFactsheet.pdf. Accessed July 24, 2013. Will a Policy of Refusing Reimbursement for Health Care–Associated Infections Be a Sufficient Incentive to Drive Improvements? Importance Health care–associated infections (HAIs) account for a large proportion of the harms caused by health care and are associated with high costs. Better evaluation of the costs of these infections could help providers and payers to justify investing in prevention. Objective To estimate costs associated with the most significant and targetable HAIs. Data Sources For estimation of attributable costs, we conducted a systematic review of the literature using PubMed for the years 1986 through April 2013. For HAI incidence estimates, we used the National Healthcare Safety Network of the Centers for Disease Control and Prevention (CDC). Study Selection Studies performed outside the United States were excluded. Inclusion criteria included a robust method of comparison using a matched control group or an appropriate regression strategy, generalizable populations typical of inpatient wards and critical care units, methodologic consistency with CDC definitions, and soundness of handling economic outcomes. Data Extraction and Synthesis Three review cycles were completed, with the final iteration carried out from July 2011 to April 2013. Selected publications underwent a secondary review by the research team. Main Outcomes and Measures Costs, inflated to 2012 US dollars. Results Using Monte Carlo simulation, we generated point estimates and 95% CIs for attributable costs and length of hospital stay. On a per-case basis, central line–associated bloodstream infections were found to be the most costly HAIs at $45 814 (95% CI, $30 919-$65 245), followed by ventilator-associated pneumonia at $40 144 (95% CI, $36 286-$44 220), surgical site infections at $20 785 (95% CI, $18 902-$22 667), Clostridium difficile infection at $11 285 (95% CI, $9118-$13 574), and catheter-associated urinary tract infections at $896 (95% CI, $603-$1189). The total annual costs for the 5 major infections were $9.8 billion (95% CI, $8.3-$11.5 billion), with surgical site infections contributing the most to overall costs (33.7% of the total), followed by ventilator-associated pneumonia (31.6%), central line–associated bloodstream infections (18.9%), C difficile infections (15.4%), and catheter-associated urinary tract infections (<1%). Conclusions and Relevance While quality improvement initiatives have decreased HAI incidence and costs, much more remains to be done. As hospitals realize savings from prevention of these complications under payment reforms, they may be more likely to invest in such strategies. However, despite the availability of solutions, the strong ethical case for improvement, and the intuitive argument that saving lives ought to save money, large-scale progress against HAIs has been slow. Only recently have health care organizations begun to achieve successes and overcome doubts about the scalability of pilot studies and vanguard institutions. Along with leadership of patient safety professionals, an important driver of progress is the move by payers to deny reimbursement for health care related to preventable harm.10,11 By placing the costs of HAIs with hospitals, this shift has accentuated the fiscal case for prevention. We believe that better evaluation of the costs of HAIs could help providers and payers justify investing in this area. In addition, for policymakers, sound estimates of the potential systemwide cost savings could mobilize the resources needed to catalyze progress in the cause of improving care and restraining rising health care costs. The purpose of this study was to generate estimates of the costs associated with the most significant and targetable HAIs. To do this, we compiled examinations of the costs of HAIs into robust, precise, broadly applicable estimates of each HAI and also estimated the aggregate annual costs of infections in adults acquired in the inpatient setting. To estimate the impact of HAIs on the US health care system, we performed 3 steps. First, we estimated epidemiologic and economic parameters for each main infection type (namely, incidence rates, attributable costs, and added length of hospital stay). Second, we modeled the variation of these outcomes within a large population of patients. And third, we used simulation to extrapolate totals for the US health care system. Because key data were not available for all HAIs, we focused on the 5 with the highest impact on the health care system, that is, the most common, costly, preventable, and well-tracked infections in hospitalized patients. On this basis, surgical site infection (SSI), central line–associated bloodstream infection (CLABSI), catheter-associated urinary tract infection (CAUTI), ventilator-associated pneumonia (VAP), and Clostridium difficile infection (CDI) were chosen. Methicillin-resistant Staphylococcus aureus (MRSA) is presented as a subcategory where applicable. Quiz Ref IDWe opted to rely on a single source for HAI incidence estimates: the National Healthcare Safety Network (NHSN) of the Centers for Disease Control and Prevention (CDC), formerly called the National Nosocomial Infections Surveillance (NNIS). The NHSN regularly collects data on the major device-associated and procedure-associated HAIs across a network of 1700 reporting sites (www.cdc.gov/nhsn/about.html). Compared with stand-alone investigations, the NHSN offers superior robustness to regional variation, more current figures amidst epidemiologic fluctuations, and greater methodologic consistency. Using 2009 NHSN data (chosen for concordance with hospital care data described herein), incidence rates for CLABSI, CAUTI, and VAP were estimated as the number of infections per total patient-days and stratified between critical care units and inpatient wards. For SSI and MRSA incidence calculations, 2008 NHSN data were used, which were the most current available. Since NHSN does not yet provide reporting data for CDI, these were estimated from high-quality studies obtained through systematic review. The body of literature used to estimate HAI impacts was found to draw almost entirely on adult populations, and it was believed that results could not be generalized further, and so for all incidence calculations, pediatric and neonatal units were excluded. Long-term acute care settings, whose patients were believed to differ significantly from hospital inpatients by demographics, health status, payer mix, and type of care received, were similarly excluded. To obtain the best available estimates of the key HAI parameters, a systematic review of the literature was conducted, following previously published methods.1,4,8,12 Searches were conducted through PubMed using medical subject headings (MeSH). For specific search strategies, see eTable 1 in the Supplement. The first pass was limited to listings published in English between 1986 and April 2013 with abstracts for review. Abstracts were next eliminated if the study was conducted outside of the United States, since epidemiology, medical practice, and health care economics vary widely internationally, or if they indicated no relevance to the research question. Full-text reviews were performed on the remaining articles. 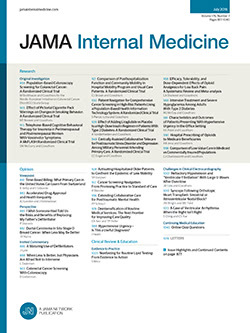 Inclusion was determined on the basis of criteria believed to indicate highly informative sources, specifically (1) robust comparison using either a matched control group or an appropriate regression strategy; (2) generalizable populations typical of inpatient wards and critical care units; (3) methodologic consistency with CDC definitions; and (4) soundness of handling economic outcomes. Review article bibliographies were scanned for potentially useful primary references. Three review cycles were completed, with the last iteration carried out from July 2011 to April 2013. The research team then undertook a secondary review of selected publications to determine whether articles on the borderlines fit the inclusion criteria. This process eliminated a large proportion of articles, typically because economic outcomes were considered only secondarily. Even among included articles, some variation in methods or definitions could not be avoided. However, all included articles followed similar methodology in which the attributable cost was generated from a comparison of patients with index infection and without index infection. In cases where charges, rather than costs, were reported, costs were estimated by a cost-to-charge ratio of 0.50, a conservative and commonly used value.9,13 All cost estimates were inflated to 2012 dollars using the annual producer price index14 (PPI) for general medical and surgical hospitals, and if a base dollar year was not reported, it was assumed to be the year of article publication. The literature review resulted in a point estimate of incremental cost savings and length of stay (LOS). Each measure was calculated as a weighted average of the point estimate from each study selected for inclusion; each study was weighted by its relative sample size.15 We then conducted a Monte Carlo simulation to develop confidence intervals (CIs) around each point estimate.16 We chose the Monte Carlo simulation to estimate CIs for its ability to provide relatively realistic estimates of uncertainty.15,17 This was important owing to the variety of sources and measures used in the studies included in the analysis. For the Monte Carlo simulation, we used a variant of the approach described by Jha et al9 to develop CIs for such measures. For each acceptable study, we simulated a distribution then pooled the results, weighting by sample size. The approach described by Jha et al is essentially dependent on 3 observations: the point estimates for the 3 studies composing the best measure of central tendency and lower and upper bounds. This allows us to include as many studies as we determine are appropriate for inclusion. There was 1 exception to our weighting method: in the case of SSI, a single very large database study would have obviated the findings of others if pooled only by size. Therefore, we separately pooled the smaller studies by sample size and weighted the small sample size pool equally with the result of the large study. For each parameter of interest for each HAI (ie, cost of SSI; LOS for SSI) we first fit a triangular distribution for each of the relevant published studies based on the reported measures of central tendency and dispersion. In general, we used the 95% CI, if it was either reported in the article or could be calculated from the article, to set the end points for the distribution so that 2.5% of the distribution fell below the lower value and above the upper value. We then set the most likely value of the triangular distribution equal to the published central tendency measure and checked to determine if the modeled triangular distribution reasonably matched the study results. In some cases, we found that the distribution was heavily skewed because the mean value of the triangular distribution differed from the study mean by more than 10%. In these cases, we adjusted for the skewness by fitting a general distribution in which the distribution was piecewise adjusted to shift the density of the probability function to account for the underlying asymmetry. Monte Carlo simulations were conducted using the Monte Carlo simulation software @RISK, version 5.5 (Palisade Corp). To determine the financial impact of HAIs on the US health care system, the 2009 National Inpatient Sample (NIS) of the Health Care Utilization Project (HCUP) was used to estimate population exposure (ie, total patient-days or total procedures). The NIS 2009 is the largest publicly available all-payer inpatient database in the United States, holding data on 7.8 million stays from 1050 hospitals in 44 states where 96% of the US population resides. The data set approximates a 20% stratified sample of US community hospitals, allowing calculation of national estimates.18,19 Since the NIS reports incidence rates for both intensive care units (ICUs) and inpatient wards, to calculate national estimates, we used an overall ratio of 1 to 7 for critical care to inpatient ward days, as used previously.20 The total incidence of SSI was calculated from total numbers of ICD-9–coded procedures (International Classification of Diseases, Ninth Revision) involving surgical sites. To avoid double counting of separately billed procedures comprising a single actual operation, we counted multiple procedures within a record that are commonly associated with a single surgical site (eg, colectomy and appendectomy, as determined by a physician reviewer) as one if they occurred on the same calendar day. From total patient-days and patient-procedures, using the above described incidence rates and estimates of attributable cost and LOS for each HAI, we generated point and interval estimates for impacts at the national level. Using Monte Carlo simulation techniques, we generated point estimates and 95% CIs for both costs and LOS (Table 1). Quiz Ref IDOn a per-case basis, CLABSI was found to be the most costly HAI, at $45 814 (95% CI, $30 919-$65 245). CLABSI cases caused by MRSA resulted in even higher associated costs to hospitals ($58 614 [95% CI, $16 760-$174 755]). Similarly, both CLABSI and SSI cases caused by MRSA resulted in the highest attributable excess LOS (15.7 and 23.0 days, respectively). In 2009, approximately 34.7 million adults received inpatient care in America’s hospitals, totaling 165.1 million patient-days. These patients were treated with invasive medical devices during 96.2 million days of care and underwent approximately 8 million operations, all of which placed them at risk for HAIs. The estimated hospitalized adult populations at risk per HAI are reported in Table 2. On an annual basis, SSI (n = 158 639) and CDI (n = 133 657) were estimated to be the most frequent HAIs nationwide (36.0% and 30.3%, respectively) (Table 2). In decreasing frequency were CAUTI (17.4%), CLABSI (9.2%), and VAP (7.1%). From the per-case costs, the aggregate incidence rates, and the population at risk, the cumulative annual costs to the health care system were determined (Table 3). In total, annual costs for the 5 major HAIs was $9.8 billion (95% CI, $8.3-$11.5 billion), with SSIs contributing the most to overall costs (33.7% of the total). Notably, CAUTIs accounted for only 0.3% of the total costs. VAP accounted for 31.7%; CLABSI, 18.9%; and CDI, 15.4%. More than a decade since the landmark report To Err Is Human1 brought patient safety to the fore, US hospitals remain less safe than they should be. Hospital-acquired infections account for a large proportion of the harms caused by health care and high rates of morbidity, mortality, and costs. Quiz Ref IDWe estimated that there are approximately 440 000 of these infections annually among US adult inpatients and that their annual costs are $9.8 billion.Quiz Ref IDOver a third of these costs are attributable to SSIs, with a quarter due to VAPs, CAUTIs. Reported evidence over the last decade shows that major progress has been made in preventing specific types of HAIs, which at one time were viewed as a largely unavoidable risk of care. In a recent systematic review, the authors estimated that as many as 65% to 70% of CLABSIs and CAUTIs and 55% of cases of VAP and SSI are preventable with current evidence-based interventions.8 In a retrospective medical chart review study performed at 10 hospitals, Landrigan et al52 estimated that more than 75% of HAIs identified were preventable. Applying these rates to our national cost estimates translates into potential cost savings of $5.0 billion to $5.5 billion annually, which hospitals could still tap into. Thus, implementation of readily available strategies has the potential to produce significant bottom-line savings to hospitals. For financial incentives to drive improvement in quality and safety of care, hospitals will want to know how much of these potential cost savings would actually contribute to bottom-line savings. Under fee-for-service payment systems and Medicare’s traditional diagnosis-related groups (DRGs) system that allow reclassifying to a higher DRG when complications occur, hospitals formerly had little financial incentive to prevent infections. However, Medicare’s nonpayment policy for treatment of largely preventable in-hospital conditions, launched in 2006 and amended in 2008, sought to change that. This policy currently translates prevention of CLABSI, CAUTI, and certain SSIs into cost savings for hospitals treating Medicare and Medicaid patients.53 Even this has been criticized as not going far enough to drive either patient safety or substantial cost savings.54 Indeed, under a new Centers for Medicare & Medicaid Services (CMS) rule that authorizes states to identify other provider-preventable conditions for which Medicaid payment will be prohibited,11 and with emerging payment reforms, hospitals should see financial benefits from preventing HAIs. Since SSIs constitute the largest portion of HAI-related costs nationally, and since less progress has been made in preventing these infections than in other areas of care, research and quality improvement efforts are clearly needed in this area. In addition, policy efforts must also target SSIs. This might be achieved by increasing federal support to evaluate effectiveness of HAI prevention approaches, encouraging innovation to expand the list of effective interventions, or enhancing surveillance programs to include post discharge tracking of SSIs. While enhancing our ability to prevent SSIs, CMS could expand the list of procedures for which it will not reimburse for a higher-charge DRG due to SSIs and encourage private payers to implement nonpayment strategies. However, it should be noted that the consequences of such policies have not been fully evaluated, and there is a need to assess whether these initiatives might have substantial unintended effects. Our study has several limitations. First, we based our cost estimates on published studies that used heterogeneous methods to assess attributable costs, sometimes using older data. Though a stringent review process sought to mitigate this limitation, some heterogeneity was inevitable. Indeed, for some HAIs, we had to exclude all available sources. Additionally, we used Monte Carlo simulation as an attempt to account for the heterogeneity and uncertainty in our probabilistic analysis. The paucity of high-quality studies that would assess the costs and excess LOS associated with CAUTI and CDI suggest a clear need for further research. It is also likely that our results contain some underestimations. One such underestimation might result from the tradeoff between consistency and sensitivity in our decision to rely on NHSN data only. SSIs provide a clear example of this in that many become evident after discharge and are thus not captured within the NHSN surveillance programs. Still, the NHSN program provides the largest data source for real-life HAI rates and has clear benefits over relying on more vigilant published reports from single institutions. Another source of potential underestimation is related to the patient population in this study. Our report is limited to HAIs in the adult inpatient population, excluding not only neonatal and pediatric patients but also patients in non–acute-care facilities such as long-term care and dialysis centers. Total incidence and national HAI-attributable cost estimations for the entire health care system are likely much higher, and if this is the case, a recommendation to increase quality improvement initiatives would be even more applicable. Finally, we acknowledge that there is a variety of factors, such as comorbidity and other acute conditions, that may contribute to infections. Although comorbidities and primary diagnosis were accounted for in the included studies, it is obvious that this was not a complete list. In summary, our study provides updated, robust, and applicable estimates for resources attributable to the major HAIs that continue to plague modern health care systems and create considerable harm to patients. While widespread quality improvement initiatives have resulted in a decrease in HAIs incidence, much more remains to be done. These estimates may be used for business case development to support investment in HAI reduction efforts. Investment in leadership, practices, and technologies will continue to drive patient safety and allow hospitals to realize cost savings attributed to prevention of HAIs. Ongoing payment reforms such as value-based purchasing coupled with incentives to reduce the frequency of these events should drive local, state, and federal efforts and bring about substantial reduction in patient harm. Corresponding Author: Eyal Zimlichman, MD, MSc, The Center for Patient Safety Research and Practice, Division of General Medicine, Brigham and Women’s Hospital, and Harvard Medical School, 1620 Tremont St, Boston, MA 02120 (ezimlichman@partners.org). Accepted for Publication: June 13, 2013. Published Online: September 2, 2013. doi:10.1001/jamainternmed.2013.9763. Author Contributions: Dr Zimlichman had full access to all the data in the study and takes responsibility for the integrity of the data and the accuracy of the data analysis. Study concept and design: Zimlichman, Song, Yamin, Keohane, Denham, Bates. Acquisition of data: Zimlichman, Henderson, Tamir, Song, Yamin, Bates. Analysis and interpretation of data: Zimlichman, Henderson, Franz, Song, Yamin, Keohane, Bates. Drafting of the manuscript: Zimlichman, Henderson, Song, Yamin. Critical revision of the manuscript for important intellectual content: Zimlichman, Henderson, Tamir, Franz, Keohane, Denham, Bates. Statistical analysis: Zimlichman, Henderson, Franz, Song, Yamin. Obtained funding: Zimlichman, Keohane, Denham, Bates. Administrative, technical, or material support: Zimlichman, Tamir, Yamin, Keohane, Bates. Study supervision: Zimlichman, Keohane, Denham, Bates. Funding/Support: This study was sponsored by the Texas Medical Institute of Technology, Austin, as part of a donation promoting research on patient safety. Role of the Sponsor: The supporting institute had no involvement in the design and conduct of the study; collection, management, analysis, and interpretation of the data; and preparation, review, or approval of the manuscript. Additional Contributions: The authors would like to thank Ashish K. Jha, MD, MPH, Harvard School of Public Health (Boston, Massachusetts), for his contribution to the design of the study, and Nyssa A. Ackerley, MS, Eastern Research Group (Lexington, Massachusetts), for her assistance in data analysis.